Visage return with an interpretation of their most famous track. Fade To Grey performed with a full orchestra. 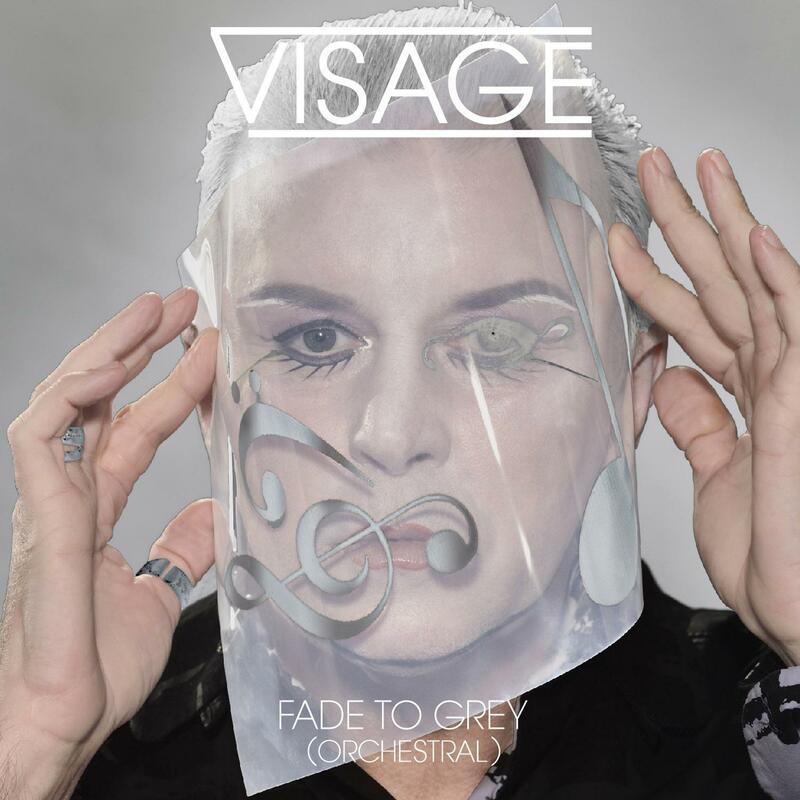 After what can only be described as a phenomenal year promoting and performing their highly successful 2013 comeback album 'Hearts And Knives', Visage return with an interpretation of their most famous track. Fade To Grey performed with a full orchestra. In March 2014 Visage were asked to perform at the closing ceremony of the World Ski Jumping Championships in Prague. Sensing an opportunity for grandeur, Steve Strange – the illustrious leader of Visage – joined forces with the Czech Synthosymphonica Orchestra. Headed by Armin Effenberger, their speciality is mixing classical music arrangements and full orchestras with classic synthesizer sounds. On a cold night in March with snow blowing Visage performed a ten song set of their hits with the full orchestra. The new orchestral version of Fade To Grey has features a lush and expansive orchestral introduction followed by the classic track enhanced with strings, woodwinds and brass throughout. The package also features a re-recorded version of the main version that sold 8 million copies and went to number 1 in eight countries. To round off the single release are some instrumental and orchapella versions. Visage are currently planning and writing their fifth album. Steve Strange features prominently in the Spandau Ballet bio-pic film "Soul Boys Of the Western World". Prior to forming Visage Steve Strange was co-founder of London's Blitz Club the birth place of the New Romantics and the first venue to host a Spandau Ballet concert (which was commemorated recently with a PRS Blue Plaque on Blitz building). Produced by John Bryan & Sare Havlicek. Orchestral arrangements by Armin Effenberger, Pete Whitfield, John Bryan & Michael Goodey. Performed by the Synthosymphonic Orchestra & the Prague Philharmonic Orchestra. Vocals by Steve Strange and Lauren Thomas. Bass & keyboards: Steve Barnacle. Guitars: Robin Simon. Keyboards: Logan Sky. Laffouk & Jewel Robinson. Additional violin: Pete Whitfield. Additional keyboards: Sare Havlicek. Mixed by Sare Havlicek. Mastered by Yuri Dent. Cover photo by Peter Ashworth. Makeup by Lara Himpelmann. Live photos by John Bryan. Artwork by Rich Elson. Fade To Grey (Orchestral Version): Written by Midge Ure, Billy Curry and Chris Payne (Kassner Music). Published by Copyright Control & Warner Brother. Norman, Martin Kemp, Boy George, my mum & my dear grandmother mrs G. Price.